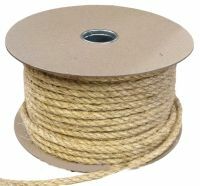 Nylon starter cord (pull cord) in 3mm, 4mm, 4.5mm & 5mm. 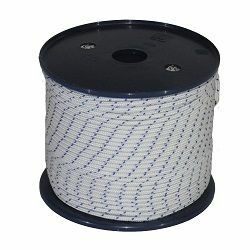 Supplied on sturdy plastic reels of 100m for ease of use. Manufactured in Europe from 100% polyamide (the techincal name for Nylon). Black Starter Cord Handle For use with nylon starter cords up to 5mm in diameter. Just push cord through, tie a knot in it and off you go!